Welcome to your first day of Phase 3, the Liver/Gallbladder/Blood Detox! To start, make sure you print a copy of Jon's Liver Detox Schedule for the week. This will help guide you through what to take and when for the entire five days. And, don't forget to soak the liver detox tea the night before the first day. First thing on rising, drink 8 oz of pure water to flush your digestive tract. 8 oz of any fresh squeezed citrus juice (fresh squeezed apple juice or grape juice with all the sediment will work too). Note: If you have blood sugar problems, see below for instructions. 4-8 ounces of pure water. It helps to first slice the ginger cross-grain into 1/8 inch slices to minimize the size of the fibers. Then blend the garlic and ginger in a small amount of liquid to minimize "chunking" before adding the bulk of the liquid. Drink it down and follow with a fresh juice chaser to clear your mouth (if desired). Note: Many people really like this drink. They say it sort of tastes like a tangy Orange Julius. Here's why. Most people are not aware that fast food outlets rarely use any dairy in their "ice cream" shakes. They use vegetable oil. When you whip the oil at high speed, it gets creamy. Well, the same thing happens with the olive oil: when mixed in your blender at high speed, it makes the drink really thick and creamy -- like there was ice cream in it. During the morning (after your cleansing drink and stopping one hour before lunch), eat all the live FRESH fruit or vegetable juice you want. Beet juice is especially good. In general, do not mix your fruit and vegetable juices together (with the exception of carrot, apple, and celery), and feel free to dilute your juices. (Certain combinations such as carrot and apple work together, but unless you know for sure, don't mix fruit and vegetable). Make sure to swish all juices thoroughly in the mouth before swallowing. For lunch you can have more diluted juice, or a raw vegetable or sprout salad. Absolutely do not use bottled dressing. Make your own dressing from fresh olive oil and lemon or apple cider vinegar and any fresh herbs and spices you of your choice. (Even better is to use no oil in your dressing. See note on fats below.) If you are hungry throughout the day, feel free to snack on fresh vegetables or juices. For dinner eat fresh fruit or fruit juice or fruit smoothes. Add your garlic and ginger to the blender first. Than add only a little bit of the orange juice (or grape if that's what you're using). This will allow you to totally liquify the garlic and ginger before you add the rest of the oil and orange juice and water. One other trick is to slice the chunks of garlic into smaller pieces across the fiber. This will prevent longer fibers from appearing in your drink. The tea helps with the flushing process itself, but also helps minimize any discomfort or nausea. The key herb in the tea is dandelion root, one of the strongest herbal lipotropics known. That is to say, it flushes fat deposits from the liver. Other herbs that you will find in the tea include things like: ginger, clove, cinnamon, burdock root, and horsetail. Incidentally, some of the other herbs used in the tea (such as uva ursi, parsley root, and juniper berries) are also extremely beneficial to the kidneys. You will want a small tea strainer to clean out the small tea bits in the water. Jon recommends making your tea in a big 8 quart Dutch oven pot. Fill the pot the night before and add 4-5 tablespoons of Tea; let it soak overnight. In the morning, simmer for 20 minutes. Then turn the heat to as low as it goes to keep the tea warm and scoop out cups as you want during the day. At night, turn off the heat and just top the pot off with water and add 2 more tablespoons of tea to the mix and repeat the simmering process in the morning. Each day, the tea just gets stronger and richer. When the taste gets too strong for you, pour out and start fresh. To keep things simple, use 4 droppers of both the liver tincture and the blood cleanser three times a day during the flush (feel free to combine them in the same juice). That's 12 droppers of each a day. Since each bottle contains about 60 droppers, that means you'll finish the two bottles in 5 to 5 ½ days. There's no way to make these tinctures taste good. They are very bitter. Put your 8 droppers in about 1 oz of juice (for this, bottled apple juice works fine) and shoot it down like a shot of bad whiskey. Then chase with a swig of plain juice to clean the palette. The way the flush works is that you starve your body of fats all day. This allows bile to build up in your liver and gallbladder. Then, in the morning, you have your only intake of fat (1-5 tablespoons of olive oil, depending on which day of the flush you're on). 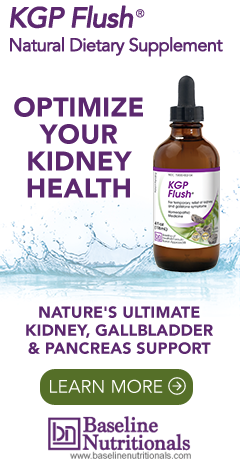 This causes the liver and gallbladder to literally "wring themselves out" in an attempt to deal with the oil -- squeezing out accumulated fat, cholesterol, and toxins in the process. The more fat that you consume during the day, the more you minimize the purging action of the olive oil drink. In other words, it's best to avoid all fats and oils (yes, this includes avocado and nuts) during the liver/gallbladder flush. Note: the purging action gets progressively stronger each day on the flush. On the last day, when you consume 5 tablespoons of olive oil, that really squeezes the liver and gallbladder. As for medications, you will want to talk to your doctor before doing the liver detox to see if there are any potential problems. For example, all of the garlic used in the program thins the blood. If you are taking blood thinning medication, that could cause problems. In general though, the rule of thumb is that if you are on medication, you will want to keep using it while detoxing. One other thing to watch for is that blood pressure tends to drop significantly during the detox -- especially if you're combining it with a 5 day juice fast -- so you will want to watch any blood pressure medication you might be using. Also recommended throughout the day is to consume cups of potassium broth. Potassium broth takes advantage of the fact that the outside of a potato is one of the highest plant sources of potassium. Take the peelings (1/4" to 1/2" including the skin) of several potatoes. Do NOT use the inside. Add other well chopped vegetables to taste including carrots (with skin), celery, whole beets (including greens), fresh parsley, and lots of onion and garlic (up to 50 cloves). Simmer for 40-60 minutes in a covered pot using clean filtered water. Strain out the vegetables, cool and drink the broth. Refrigerate leftover broth in glass containers in the refrigerator for use over the next couple of days. As much as possible, do not add spices to the potassium broth. If you must, though, you can add a little "Bragg Liquid Aminos" or real Tamari sauce for flavor. Any combination of all vegetable or all fruit will do. One exception is a juice made of 1 large apple, 1 stick celery, ½” piece of ginger, and enough carrots to make 20-24 oz of juice. A colon corrective formula taken each evening should help keep things moving in the morning. A couple of packets of Sun Chlorella taken daily with your juice will help give you energy and assist with the detox, and will also help with the detoxing and elimination. (If you don't have chlorella, you can use virtually any other pure green food such as spirulina, barley grass, green kamut, etc.) Jon usually takes his two packets of chlorella with his juice at around 4:00 PM to get a lift in the afternoon and on into the evening. If for any reason you feel off (sluggish, achy, nauseous, toxic, whatever) do an enema. Most people tend to feel off in the morning when they wake up because of the accumulated toxins. For most people, the psyllium and corrective formula should flush those toxins with your morning bowel movement. But if for any reason your bowel is sluggish and you don't fully eliminate the toxic waste, do an enema. Or go for a colonic if you want. One other thing that you might help is to use Glucotor® v.2, which will minimize the glycemic response. Moderate exercise every day will help make you feel a whole lot better – and will help keep things moving. Don't forget to make your potassium broth today, and to refresh your teapot this evening!